Stronger Colors Will Make it a Lovely Table Topper, Too! 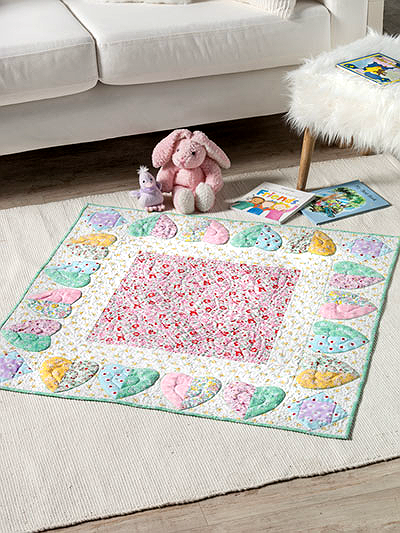 Soft colors and two-toned hearts make this baby quilt extra sweet and comforting. Any new mom will be delighted to receive it, especially made by you. The piecing for this quilt is super simple, while fusible applique does the rest. It’s an easy quilt and a quick finish whenever you need a special baby gift. It will be lovely in stronger colors, too, displayed on a table for Valentine’s Day and anniversaries. A variety of red prints against white will be stunning. The finished quilt is 36″ x 36″. 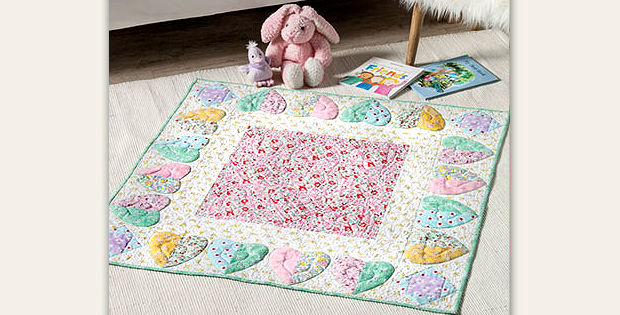 Click here to purchase the “In My Heart” quilt pattern.